Not so long ago when Kuylay was a young boy he grew up just like other kids in his village. His village is located about halfway up the Mekong River in Cambodia, and about seven kilometers inland away from the river. Most people live along the river banks because that affords them with an easier supply of fish, water and fertile soil. Poor people, and by poor, I mean people who have nothing to their name, live further away from the river. They are kind of rural squatters. Eventually enough people move into a remote and a few homes are clustered together in an area they become recognized as a village. Chu-turn village is such a village. Chu-turn means “bent wood”. However, living away from larger populations has many drawbacks like the lack of access to education and markets, but it also dangers. Up until the late 1990’s the greatest danger in this area were roaming bands of Khmer Rouge soldiers. The Khmer Rouge at its height from 1975-1979 controlled all of Cambodia and their genocidal purge killed millions of Cambodians. But they were defeated in 1979 and then moved into rural areas and continued a guerrilla war. By the 1990’s they had all but forgotten the communist ideologies and were primarily just violent criminals. Kuylay’s father was a teacher. Education was important for him. He was the only teacher in Chu-turn and though they did not have a school building he would volunteer to teach the children in the village. However, being a teacher around the Khmer Rouge was in their eyes “criminal”. They hated education and specifically teachers. 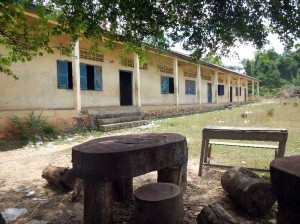 Under the Khmer Rouge regime they destroyed schools, turned some into prisons (like the infamous Toul Sleng High School in the capital city where over 20,000 people were tortured to death), many universities they demolished and even dumped the contents of the National Library into the Mekong River. Kuylay’s father was marked as an enemy and warned to quit teaching children. However, he couldn’t quit. He dreamed for a better future for his children and the children of Chu-turn village. One day when Kuylay’s father was teaching he was sent a message to go to a nearby village for lunch and an important meeting. He came near to the house where the meeting was to be held and as he started to climb the ladder into the house which was built on stilts. He saw several men with machine guns inside and he realized it was a trap. Immediately he knew they were going to kill him. He jumped off the ladder and began to run away from the home toward the nearby jungle. The Khmer Rouge soldiers fired at him from the house and hit him in the leg. He staggered to the edge of the creek as the Khmer Rouge chased after him. At the creek side, with his family watching, they fired the final fatal rounds into this body. Kuylay, only an infant, lost his father on that day and Chu-turn lost their only teacher. A few years later another Khmer Rouge soldier came into that village. We’ll never know if he was part of that crew that killed Kuylay’s father, though this former soldier was specifically backtracking to places where he had brought terror too. This man was named Pin. A former Khmer Rouge commander that came to know of Jesus and whose life had been so transformed by the grace of God that no one could comprehend what he did in the past. Pin shared with the villagers about Jesus and how he would forgive their sins and save them from their sin and suffering. Kuylay’s mother prayed to receive Christ and asked Pin if he could help educate her youngest son, the others were too old, she determined, to receive a formal education. Pin brought young Kuylay to the Imparting Smiles Center in Kracheh along with a few other children from their impoverished village. 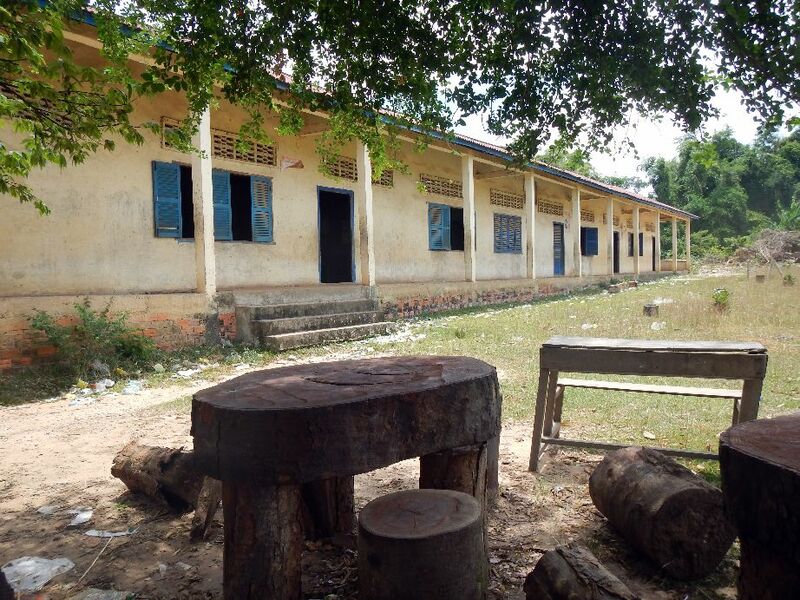 While Kuylay was studying and living in the Imparting Smiles Center the Khmer Rouge agreed to a cease fire and the government even built a school which potentially could educate the village kids from grades 1-5. 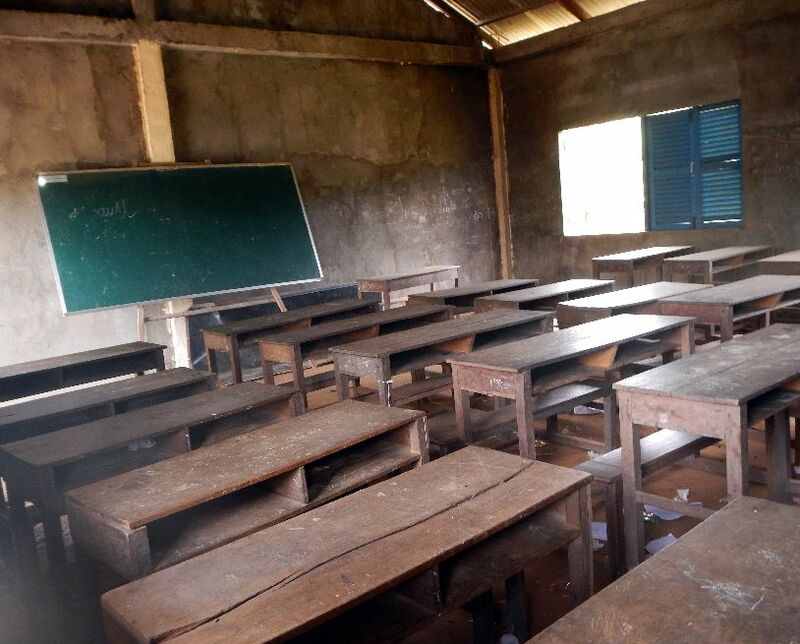 However, no one in the village is educated so teachers only come sporadically. The school quickly ran into disrepair. 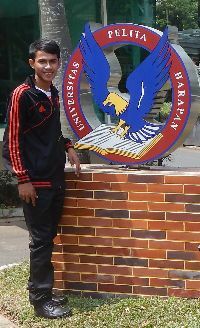 In 2014 Kuylay completed High School and was accepted at Universitas Pelita Harpan (University of Light and Hope) to a new International Teachers College where he will received a US accredited Bachelor and Masters of Education upon completion. Before leaving for school he went home to say goodbye to his family. When he returned to say good bye to his mother and siblings in the village he walked the seven kilometers from the riverside back into the poor village. He wanted to bring something special to them from the big city of Phnom Penh that they would enjoy. So, he brought them a special gift of two loaves of sliced bread. Two days later he left his mother and siblings and will probably not be able to return home for another four years. 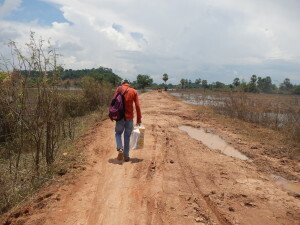 But when he does finally return home, he will be a teacher and he will be equipped to see to it that he carries on the legacy of his father and see to it that children in Cambodia can receive the best education possible. Kuylay is in his first semester at UPH and is not only learning core educational and Bible courses, but learning to converse and write fluently in English and adjusting to living in Jakarta, Indonesia which is a mega-city with a population bigger than the entire population of Cambodia. Thanks for taking time to share these wonderful stories. I love the connection that Kuy Lay and Samnang have. A wonderful bond that could only be orchestrated by God. Kuy Lay is a great legacy.